Danzic circa 1700: are those kegs of spruce beer on the quayside? Spruce beer is made from the tips of spruce trees. 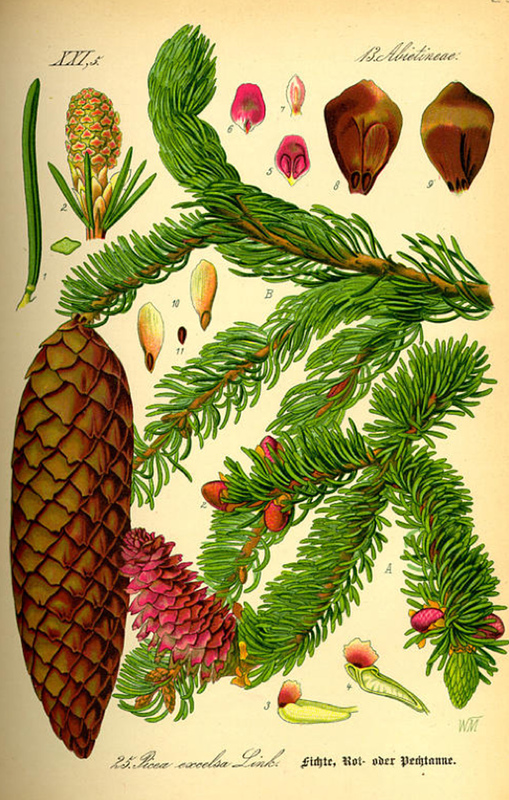 Except that the connection is not as simple as it appears: it is pretty much a coincidence that spruce beer and spruce trees have the same name. There are actually two traditions of spruce beer in Britain: the older, the Danzig or Black Beer tradition, only died out very recently, while the other, which could be called the “North American tradition”, was hugely popular in Regency times, and included Jane Austen among its fans, but disappeared nearly 200 years ago on this side of the Atlantic.